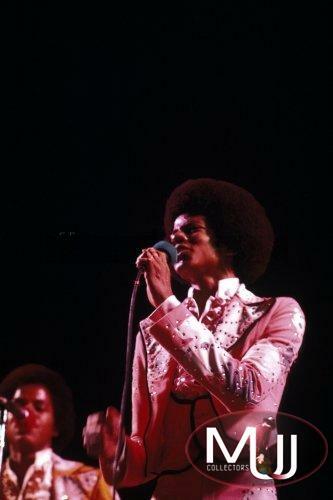 Hot pink jacket worn by Michael on stage during 1976 while performing with the Jackson Five. 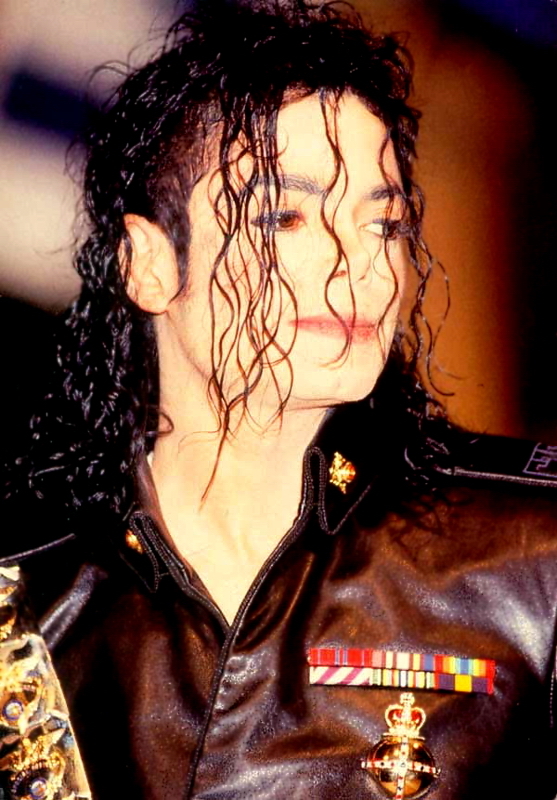 Michael wore this jacket in Chicago at the "Save The Children Rainbow PUSH Expo". 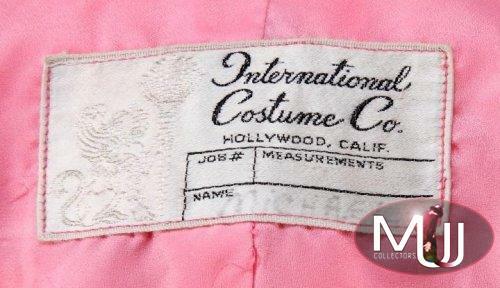 Made by International Costume Company, the inside label reads "Michael". 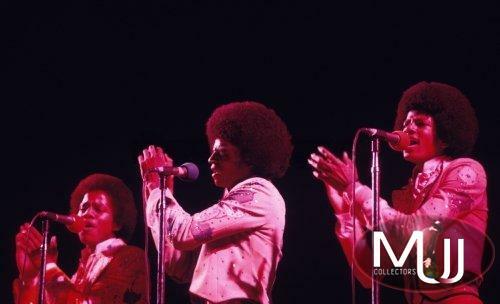 This jacket was sold with other Jackson Five stage clothing (Lot #536) for $2,000 at their 2010 Icons & Idols auction. All screen captures are the property of their respective owners. 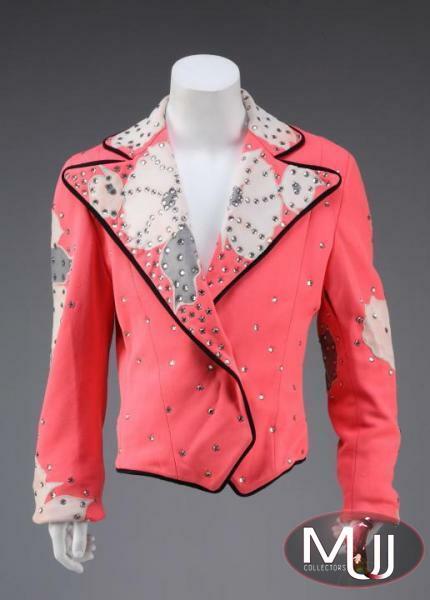 From Julien's Auctions: A set of costumes made of synthetic fabric by International Costume Company in a sherbet palette of tangerine, hot pink, lemon, lime, and cotton candy pink, with applied rhinestone jeweling and contrasting floral design throughout. 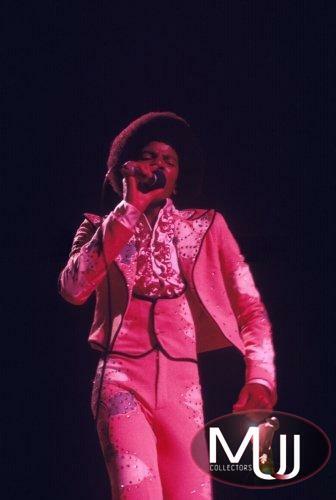 Three sleeveless jumpsuits, one dress, and three jackets, the hot pink jacket is marked "Michael", and the tangerine jacket is marked "Marlon" on the International Costume Company labels.